Deolo Hill, located to the north-east of the town, is one of the two hills in between which the town of Kalimpong stands. Situated at a height of 1704 meter above mean sea level, Deolo is the highest point of Kalimpong town. Three water reservoirs, two of which serve as the primary drinking water source to the town are present atop this hill. This point offers a spectacular view of the entire kalimpong Town, the magnificent Mt. Kanchenjunga, the surrounding villages of Relli valley on one side with Teesta River and its valley on the other.Â It is one of the most popular destinations of Kalimpong where views are concerned. The snow-clad mountains of West Sikkim are also visible on a clear day from this hill. At the summit of this hill, a park built for recreation purposes which feature exotic flowers. Deolo park is one of the most popular picnic spot for locals as well as tourists in Kalimpong. Durpin Dara is one of the two hills (the other being Deolo Hill) connected by a ridge on which the town of Kalimpong stands. Set at an altitude of 1402 meters above sea level, it offers a spectacular view of the entire Chola Range of Sikkim. From the view point at Durpin which in fact means "binoculars" the whole Chola Range of Sikkim can be seen including the Jelep La Pass. On the Northwest horizon can be seen the panoramic view of Kanchenjunga Range. On the Southern horizon looms the Tiger Hill and between the gap in the Teesta Valley can be seen the rolling plains of West Bengal. The captivating views of the serene mountains and the plains are capable of making any visitor speechless! One can get a clear picture of the elegant Teesta and Rangeet rivers, Peshoke and Lopchu tea estates, western Sikkim and the glittering Kanchenjunga peak. The hill commands a panoramic view overlooking the town of Kalimpong, the snow clad Himalayan ranges of West Sikkim, the Teesta River and its valleys and the Jelep La Pass in the distance. A golf course is also present just off the summit. The Nature Interpretation Centre in Kalimpong is located on the Rinking pong Road and is operated by the Forest Department in Kalimpong. This center provides the information on effect of human activities in the Earthâ��s environment. The highlight of this Centre are the various dioramas - three-dimensional or full-scale miniature models of local ecology and the effect of humans on the environment, which were all created in order to evoke instant interest in science among the visitors. The dioramas are simple amazing pieces of art and science merged together. The Centre also displays photographs and books on ecology and environment. This centre carries out information collecting and research on flora and fauna in the hilly forests of Kalimpong and also watches the human interaction with these natural gifts. It highlights the need for soil conservation, dwindling of forest wealth and also extinct animals and birds. This center aims to showcase the interaction between the humans and the Kalimpong Ecology with a main focus on the flora and fauna indigenous to this region with the intention to promote soil conservation in the area and to stop the depletion of the forest wealth - animals, birds and the natural vegetation. The Pine View Nursery is situated at a height of 4000 ft., on Atisha Road in Kalimpong. Â It houses the most exotic and rare varieties of cactus from India, Africa, The Mediterranean, Jamaica, Cuba, North and South America. 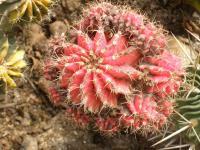 Cactus is a perennial ornamental and succulent plant which has a huge market around the world these days as the plants are used commercially in parks and in landscaping. Science Center in Kalimpong is located about a kilometer away from Deolo Hill. It displays various examples of science or â��science-magic' as we would like to call. It also has a garden with various outdoor activities like tyre-swings, climbing ropes, see-saws, along with models of dinosaurs like a little Jurassic Park. It provides a great place which is of tremendous joy for all visitors especially because of its location being on a hilltop. Tashi Takgye is located in 10th Mile, Rishi Road, near Power Station is a one-stop shopping destination for persons who canâ��t resist shopping even on a vacation. It is a fixed price shop and is a wholesale supplier/importer/exporter for the northern region. Here you can shop for stunning paintings, fabulous wall hangings, amazing statues, exquisite Thangkas (Buddhist Cloth Paintings), exotic wall hangings, antique knives, unique masks, porcelain, crystal, colorful Dragons masks and items made from bone. Thongsha Gumpha, established in 1692, it is the oldest monastery in the region of Kalimpong, located near the top of RC Mintri Road. It is also popularly known as Bhutanese Monastery. This monastery was constructed under the guidance of King of Bhutan after it was commissioned under the rule of Bhutan. Reconstructed in the 19th century, the monastery consists of a prayer room that has 108 prayer wheels, all of which were personally brought by the Dalai Lama. In addition to this the monastery comprises of several murals and frescos. On visiting this monastery, tourists can witness several Buddhist monks and devotees offering prayers.